Annual reports are required by law in most states for nearly all corporations, LLCs, and limited partnerships, both domestic and foreign. As the name implies, annual reports must be filed annually (some states require biennially) in each state in which your company is registered to do business. Annual report filings vary by state on the type of information required. Many states will have you list current information regarding your company’s permanent address as well as the name and address of your registered agent. Your annual report may also list the names of the partners, directors, and officers of your company. Filing complete and accurate annual reports on time every year keeps you in good standing with the Secretary of State’s office. Each state in which you operate will have its own filing due date. Some require all entities to file by the same date while others have open filing periods. Others have businesses file each year on the anniversary of their formation date. In addition to the report itself, there is generally also a filing fee. Some states will require that you take care of company or franchise taxes at the same time you file your report. If you are late turning in your report, you should also expect to pay late fee penalties. Though many states have an online filing system, some may require that you mail in your reports. In addition, different entity types may have different methods of filing even in the same state that your company must track. For example, corporations may need to file online while limited partnerships must submit a paper copy. Some states require updates whenever certain actions are taken with your business. Name changes, address changes, change of registered agent, or changes to your company’s officers may require a separate filing. 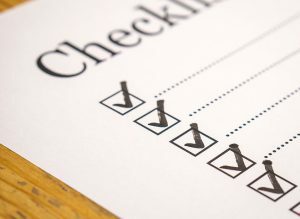 Some companies choose to designate an individual within their organization to be responsible for staying up-to-date with annual report filing requirements. For companies that operate within more than one jurisdiction, this can become complicated. Other businesses choose to use a corporate filing service to take care of their annual report filings and associated responsibilities. Such services always have current information regarding filing deadlines, fees, and requirements and will ensure your reports are sent in on time each year.